Caption slip reads: "Photographer: Brunk. Date: 1951-09-19. Reporter: Henhoeffer. Assignment: Doll woman. 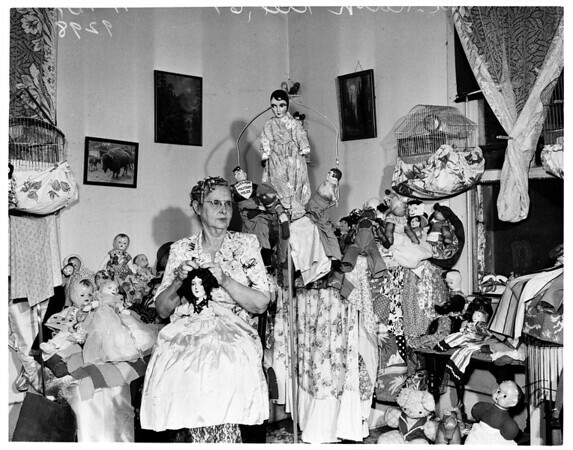 31/32: Mrs. Ruth Kiel, 67, with handmade dolls for Indians. For Sunday or Monday".